All Woodbine homes currently listed for sale in Woodbine as of 04/23/2019 are shown below. You can change the search criteria at any time by pressing the 'Change Search' button below. If you have any questions or you would like more information about any Woodbine homes for sale or other Woodbine real estate, please contact us and one of our knowledgeable Woodbine REALTORS® would be pleased to assist you. 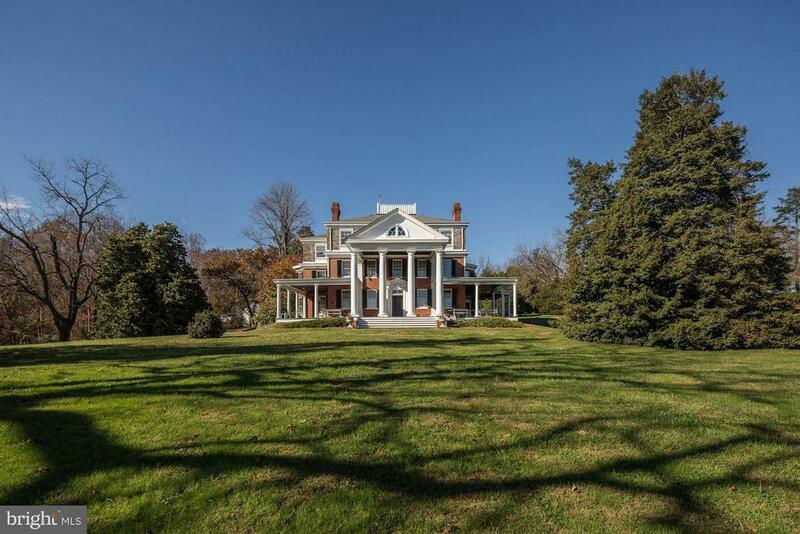 "Culturally, historically, and architecturally significant, Oakdale, circa 1838 and 1898, ancestral home of Maryland Governor Edwin Warfield, is a magnificent estate on a tranquil 180-acre tract only 20 miles from both the Washington and Baltimore beltways. On The National Register of Historic Places and sited on land acquired by The Warfield's in 1766, the main house boasts 12-inch thick brick walls and 12 fireplaces, with 24 rooms and 5.1 baths comprising over 9,500 sq. ft. Impressive, original detail and craftsmanship are prominent throughout, and the grand front porch, graced by 18' Roman Doric columns, provides a striking view of the property's fields and woods, bested only by the stunning vista from the rooftop widow's walk. An addition to the main residence, Oakdale Hall (2005), masterfully designed and artfully integrated, provides an additional 8,870 sq. ft. of space and a superb setting for grand entertaining or concerts. It is equally well-suited for use as additional residential space, guest rooms, or as a recreation facility along with the adjoining 60x30 pool. Uniquely, in conjunction with the countys approval for operation of a winery on this property, it would also serve as an ideal site for wine tastings. The versatile design of this complex might also lend itself to other intriguing potential uses, such as a corporate retreat, meeting site, offices, or wedding venue. The combined structures are gracefully connected via a 120' covered colonnade merging into the main wraparound porch. Together, they encompass 35 rooms, with 16 bedrooms and 10.2 baths, and collectively, with the garage, represent 18,370 sq. ft. of enclosed space, with another 4,460 sq. ft. under roof. Other outbuildings include the Carriage House and Gardener's Cottage residences, as well as a brick smokehouse, pond-side gazebo, and tool shed. 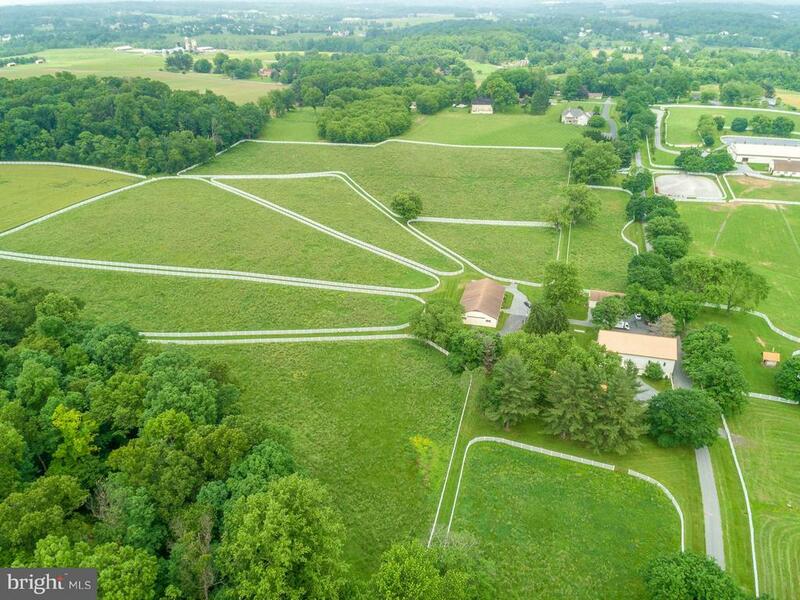 Additionally, a large 3-level stable supports substantial equestrian endeavors, and farming operations are supplemented by an additional barn, "
"Large 342 +- Acre Farm for sale in South Carroll area. Large crop fields along with Brick Farmhouse with covered front porch. 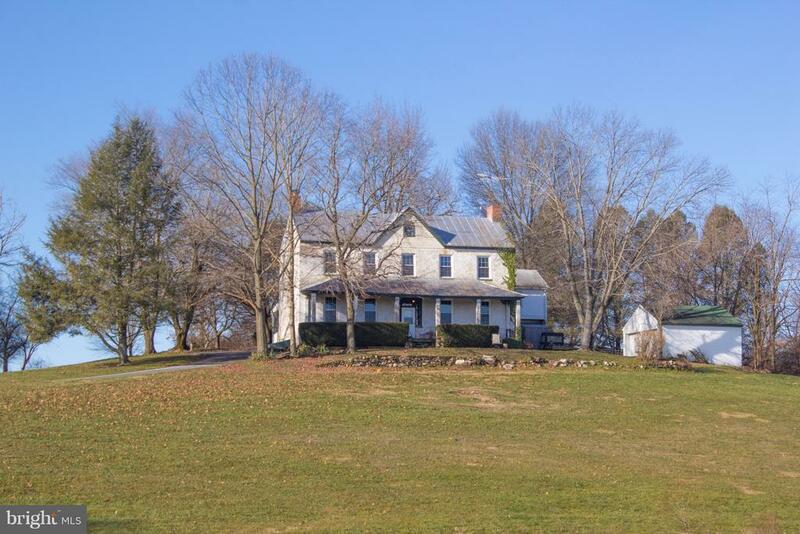 Old farms house charm, with high ceilings, wood floors, build-in and multiple fireplaces. Property has a large pond. Two bank barns, tractor shed, pole barn and silos. So much more. Contact us today Final acreage and settlement is subject to final survey and deed reconfiguration"
"Picturesque 20 acre lot to build your dream home. The current tax record reflects existing brick home that is to be razed. 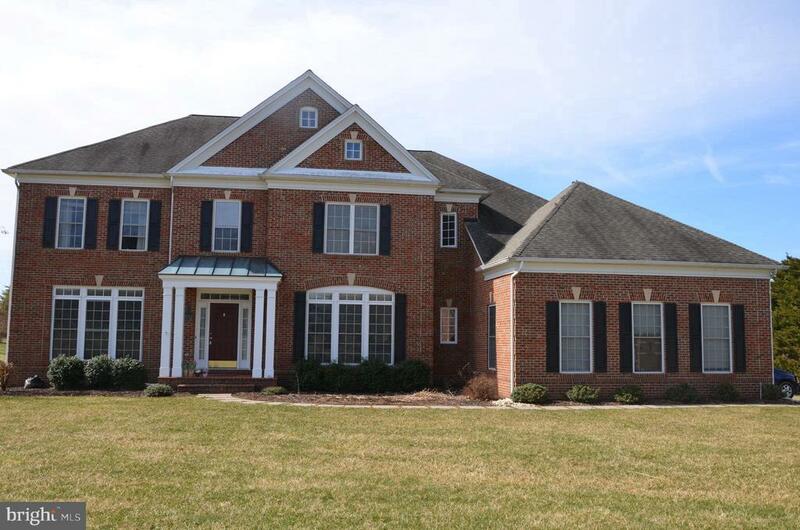 One of the nicest lots available in Howard County. tree lined driveway, 10 =/- acres of electric fence. brig your horses. Home is built by Award winning Rachuba Home Builders. This lot is ready to go. Do not have to use this plan. Other plans available. Call today to schedule a tour and talk with the builder.SMALL DOG ON PROPERTY. *****PLEASE DRIVE SLOWLY*****("
"A RARE OPPORTUNITY! Offering 50+Acres, Paddocks, Pastures & Board Fence. Amazing Stallion Barn w/4HUGE stalls, Bath Rm, Wash Stall, Mare Barn, & Bank Barn w/10Stalls! Complete w/Business Office, Garage, Machine Shed, Hay Loft,2-Wells-Water System for Horses, Care-Taker House, Manor &Tenant Houses! PERFECT BREEDING/BOARDING/EVENTS FACILITY READY NOW! Bring your Horses, your business, & your dreams!" "Approx. 9600 sf of finished space! Complete Theatre Room, Breakfast Area, Built-Ins, Butlers Pantry, Chair Railings, Crown Moldings, Curved Staircase, Dining Area, Double/Dual Staircase, Family Room Off Kitchen, Kitchen - Eat-In, Kitchen - Gourmet, Master Bath(s), Recessed Lighting, Upgraded Countertops, Window Treatments, Wood Floors, 1 Fireplace(s), Equipment, Fireplace - Glass Doors, Mantel(s), Dishwasher, Disposal, Dryer-Front Loading, Exhaust Fan, Humidifier, Icemaker, Microwave, Oven-Double, Oven/Range-Gas, Range Hood, Refrigerator, Six Burner Stove, Washer- Front Loading, Water Conditioner-Owned, Water Heater, Accessibility Features: None, Door Features: Atrium, French, Six Panel, Sliding Glass, Window Features: Atrium, Bay/Bow, Double Pane, Screens, Vinyl Clad. 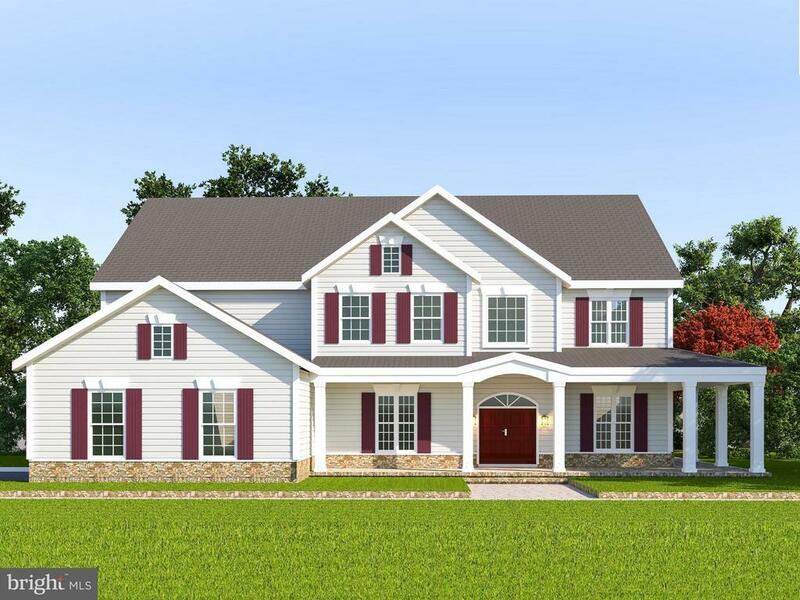 Floor Plan - https://cdn.tollbrothers.com/models/malvern_895_/floorplans/reserve_triadelphia/brochure.pdf includes all the options"
"Square Woods custom homes - peaceful solitude, storied tradition, and modern convenience. Absolutely ideal - the Annandale is a masterfully planned home, with every convenience and comfort, including an expansive kitchen with large island, and a breakfast bar to the morning room. The kitchen is open to the stunning family room with dual sided fireplace and coffered ceiling. The main level also includes a formal living and dining rooms, library, main level laundry, and a well-appointed mudroom with included built-ins. Main level flooring is custom finished hardwood floors throughout - all included in list price! Upper level includes the Owner's Suite with spa-like master bath, dual walk-in closets, tray ceiling, and sitting room. Exclusive JMB Homes Always Standard Features include Custom Finished Hardwoods, Coffered Ceilings, Stone Hardscape, Generous Allowances for Appliances and Landscape, and 10K toward Buyer Closing." "Additional building lot included with purchase! List price reflects adjacent 3.347 acre recorded building lot, finished with completed perc, well installed and designated private septic easement. Combined lots total 7.159 scenic acres....Bring your horses and prepare to be impressed! This one-of-a-kind all brick 3-level custom built home sited on a picturesque lot boasts a superb level of detail & extraordinary workmanship. With over 4,000 sq ft on the main & upper living levels this move-in ready home offers a well-designed floor plan w/wide entry foyer, 2 main level powder rms, generously sized main level master suite, formal dining rm, living rm with fireplace & adjoining game rm, huge kitchen w/SS appliances, cherry cabinets, Corian counters, eating island, walk-in pantry & open to the breakfast nook & family rm w/wet bar, stone wood-burning fireplace & atrium doors to a 60 ft long patio w/electric/water pipe running under the patio to the side yard for a potential future pool. Open to the family rm is the sun rm with walls of glass to enjoy the scenic vistas. Included on the main level is the studio/hobby rm w/dedicated outlet for a kiln, an outside access & access to the over-sized 3-car garage. The upper living level offers an open seating area, 3 bedrms, full bath plus access to 2 walk-in attics. Additional features include hardwood floors on most of the main living level & stairs, new neutral carpet, freshly painted, detailed millwork, 2 water heaters, constant pressure well tank, Andersen windows, built-in generator hookup, water conditioner, new range & dishwasher & a massive 89' x 30' unfinished lower level w/wet bar & full bath rough-ins, woodstove flue, full sized windows & walkout. Horse & animal enthusiasts will appreciate the 5 stall 40 ft barn complete with tack rm, 100 amp electric & 40 gallon water heater. Please note that property tax information doesn't include property taxes or assessed value for the additional building lot. See MLS #MDHW2498"
"Square Woods custom homes - peaceful solitude, storied tradition, and modern convenience. Perfect for entertaining, the Cherry Grove features a grand chef's kitchen complete with an expansive island. 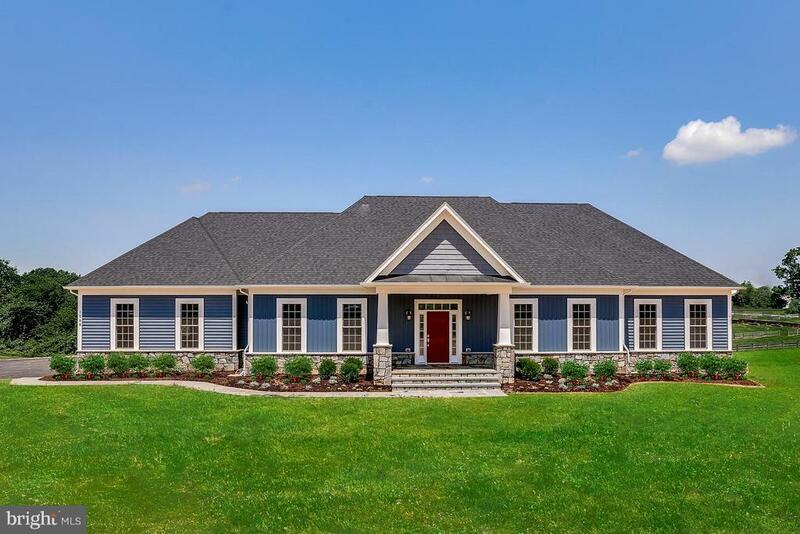 Exclusive JMB Homes Always Standard Features include Custom Finished Hardwoods, Coffered Ceilings, Stone Hardscape, Generous Allowances for Appliances and Landscape, and 10K toward Buyer Closing." 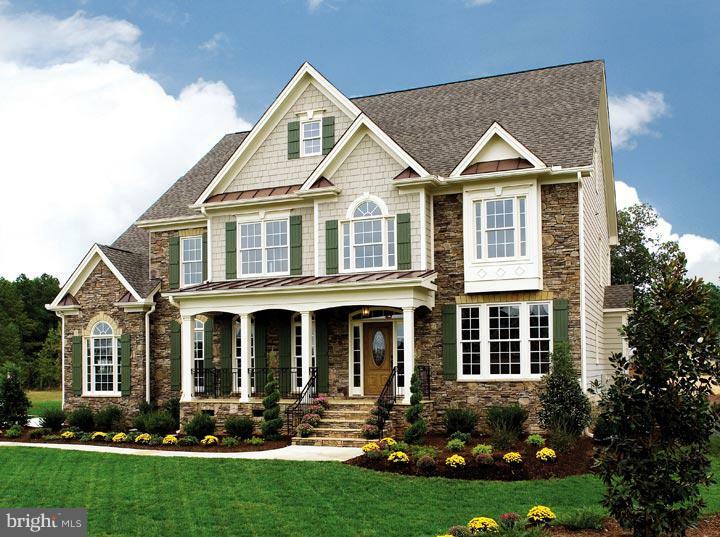 "Square Woods custom homes - peaceful solitude, storied tradition, and modern convenience. An innovative floorplan with its easy, relaxed style, the Oakdale exemplifies the modern rural lifestyle. 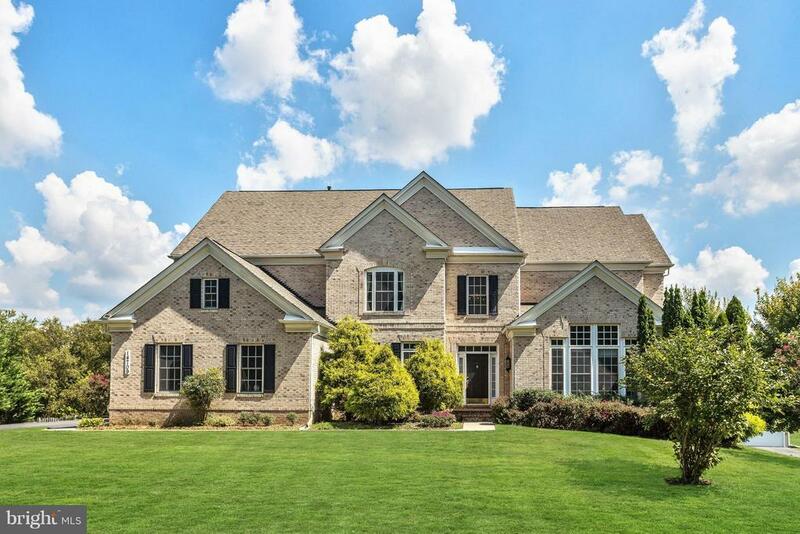 Exclusive JMB Homes Always Standard Features include Custom Finished Hardwoods, Coffered Ceilings, Stone Hardscape, Generous Allowances for Appliances and Landscape, and 10K toward Buyer Closing Costs." "Square Woods custom homes - peaceful solitude, storied tradition, and modern convenience. 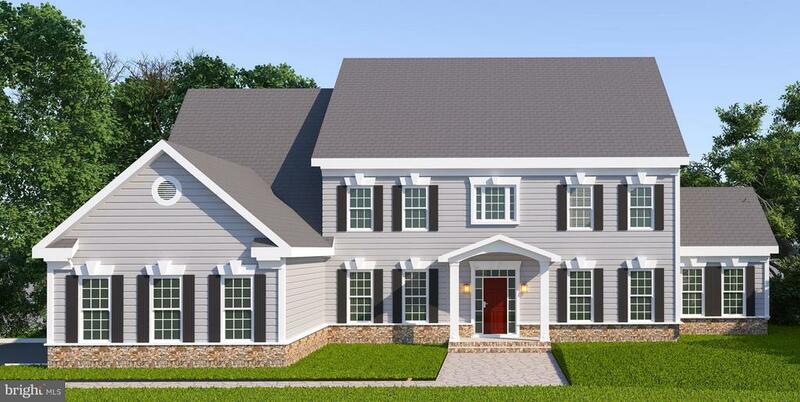 The main level of the Waterford features a dramatic two-story foyer, an elegant living room, a spacious kitchen open to the family room, and a hard-to-find entry level master bedroom that is perfect for guests or extended family. With four additional bedrooms upstairs, including a stunning Master Suite complete with dual walk-in closets and a spa-like master bath, the Waterford is perfectly app The most flexible of all models, this floor plan can beeasily and affordably customizedto fit your needs. 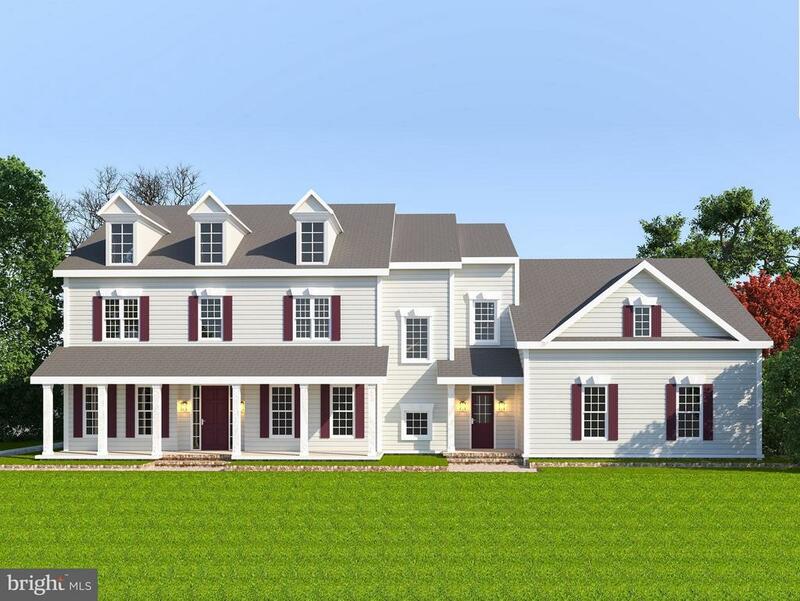 Exclusive JMB Homes Always Standard Features include Custom Finished Hardwoods, Coffered Ceilings, Stone Hardscape, Generous Allowances for Appliances and Landscape, and 10K toward Buyer Closing." "Square Woods custom homes - peaceful solitude, storied tradition, and modern convenience. Relax and enjoy the Harwoods wide covered front porch, breezy open living spaces, and three en-suite bedrooms. Easy, one-level living! Exclusive JMB Homes Always Standard Features include Custom Finished Hardwoods, Coffered Ceilings, Stone Hardscape, Generous Allowances for Appliances and Landscape, and 10K toward Buyer Closing." "Magnificent opportunity to purchase beautiful spec home ready to deliver. 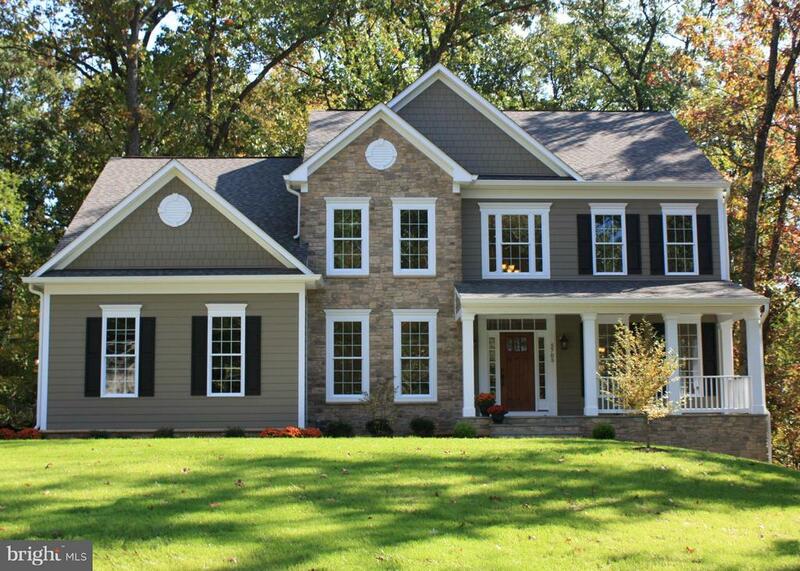 Stone front with generous wrap porch opens to fully up-graded home with 10ft. ceilings with transom windows on main level, 9ft upper and lower. Large formal LR/DR, office, mud room with built-in locker/cubby and laundry room. Rear opens to elegant family spaces to include gourmet kitchen with stainless steel luxury appliances, stone counters with large prep/serving island, breakfast bar, butler~s pantry with beverage cooler, sun room and Great room with cofered ceiling and stone propane fireplace. Dual stair leads to 4 very spacious bedrooms, master with dressing/sitting room and super bath with large vanity, double shower and ample space to add soaking tub. Lower level with walk out, 5th bedroom, family room, full bath and ample storage. 3-car side entry garage, well suited to allow for large open rear yard. QUARTZ HILL is a small enclave of 8 custom homes sites; 5 remaining just minutes from Rt. 70 but so peaceful and convenient on the edge of Woodbine. 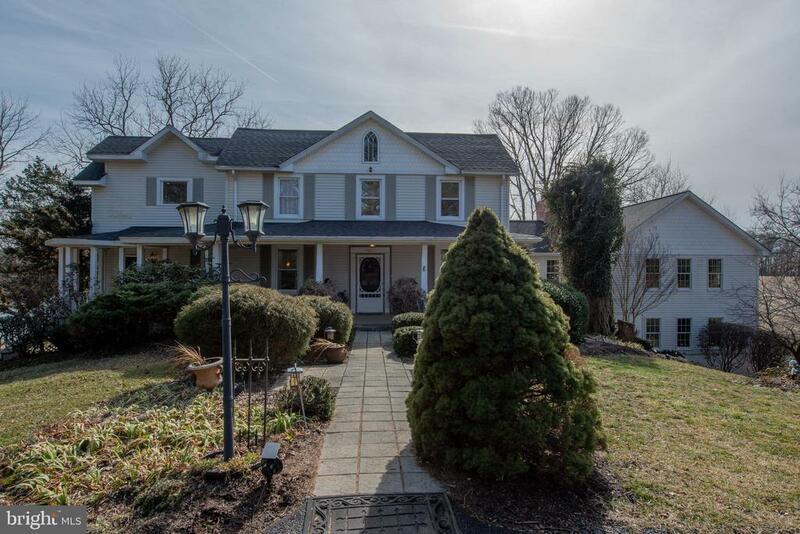 A hidden treasure in this very special Catonsville Home with over 5,500 sq. ft. of finished living space minutes away from all three schools, the Western Regional Park and Library and Glenwood Community Center facility, Cattail Country Club, and newly expanded shopping in Lisbon so convenient. Taxes are estimated. Builder to write contract. Buyer pays all transfer taxes. So easy to show and agent and sales manager VERY helpful." "Square Woods custom homes - peaceful solitude, storied tradition, and modern convenience. 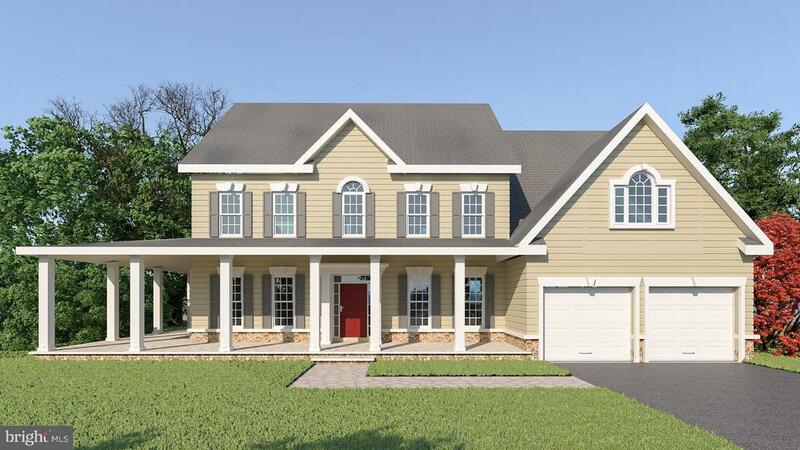 With a charming wrap-around porch, wide, two-story foyer, and elegant formal spaces, the main level of the Sunnyside is designed to impress upon entry. Gather in comfort in the home~s sweeping kitchen, open to the family room, with it~s gracious 10~ ceilings. The incomparable Owner~s Suite is designed to be a comfortable, private retreat, with ample sitting room, dual walk-in closets and a serene, spa-like master bath. As with all JMB Homes, this floorplan can be customized to suit your lifestyle. 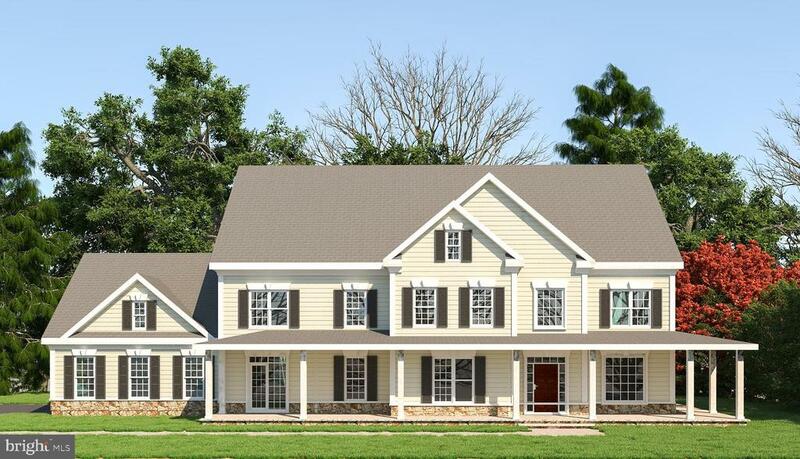 Exclusive JMB Homes Always Standard Features include Custom Finished Hardwoods, Coffered Ceilings, Stone Hardscape, Generous Allowances for Appliances and Landscape, and 10K toward Buyer Closing." "NICE BIG HOUSE THAT NEEDS TLC .MOLD"
"Stunning home with rounded turrets, soaring ceilings and bright interiors. Remodeled kitchen w/s.s. appl/ island & granite cntrs opens to Fm rm w/atrium windows and stone frpl. MBR w/tray ceilings and blt-ins. Walk-out lower lvl w/hg rec rm, frpl, media rm, bdrm & fl bath. New Trex deck & custom patio. Backyrd bonanza w/fountain and party pavilion, grill, great for entertaining. 1st flr bedroom & bath perfect for in-law. (Handicap Access)." "BEAUTIFUL PULTE COLONIAL A TRUE 5 BDRM LG 1.08 GROUNDS BACKING TO TREES*THIS GREAT CHATSWORTH MODEL HAS 4.5 BATHS, LIBRARY, DUAL STAIR CASE HARDWOODS*LARGE GOURMET KITCHEN WITH MORNING ROOM FINISHED LOWER LEVEL 3 CAR GARAGE*TREX DECK*STORAGE SHED*HUGE MASTER BDROOM AND BATH* GET IN BEFORE SUMMER"
"Stunning Colonial nestled on 1 acre in the coveted McCann Estates community. 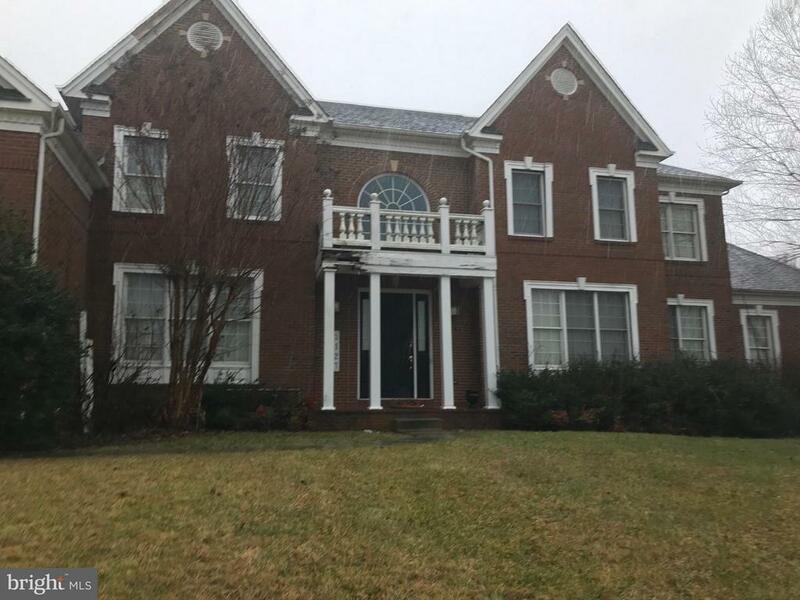 2 story foyer, fml DR.Oversized fml LRw/dual custom stone & copper fireplace looking into family room.Cath.ceilings, atrium windows.GourmetKIT w/granite counters, center cooktop island, 42~cabs, walk in pantry & walk out Trex deck. 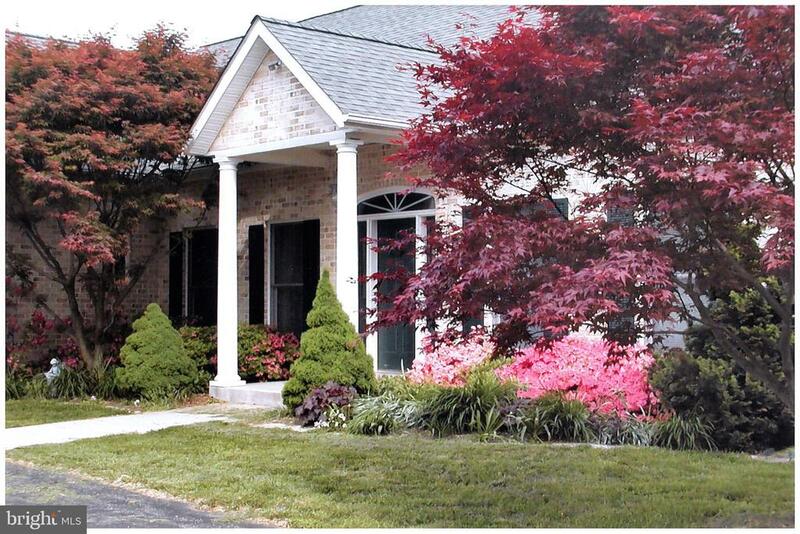 2 master BRs, luxury master BAs w/whirlpool tub, sep.walk in shower. LL walk out Rec Rm." "HORSE LOVERS DREAM...........GRAND 5/3.5 COLINIAL ON 4+ ACRES IN SOUGHT AFTER WOODBINE...........GOURMET KITCHEN WITH STAINLESS STEEL APPLIANCES AND GRAINITE............TWO STORY FOYER.........OPEN FLOOR PLAN............LARGE ROOMS THROUGH OUT...........GREAT BARN WITH WATER AND ELECTRICTIY...............TO BE BUILT BY CARRIGAN HOMES"
"Exceptional custom Trinity home nestled on 1.33 premium acres in The Chase at Stoney Brook offering unparalleled style combined with casual comfort ideal for everyday living. The desirable Highland Manor model greets you with a grand two story foyer, elegant lighting, gleaming hardwood floors, dual stairs, intricate molding and architectural columns. The perfectly proportioned formal rooms are well suited for celebratory dinners and intimate entertaining. Travel into the inviting family room adorned with sunbathed windows, coffered ceiling, and a gas burning fireplace. Prepare meals for family and friends in the chef inspired kitchen featuring a center island, breakfast bar, granite counters, decorative tiled backsplash, KitchenAid stainless steel appliances, recessed lighting, planning station, and a casual dining area. A main level bedroom provides the perfect space for the in laws or visiting guests. A mud room and powder room complete the masterfully designed main level. Stunning design elements continue upstairs in the master suite complemented with two walk-in custom closets and a separate sitting room. Wash your cares away in the opulent spa-inspired bath boasting a decadent soaking tub, separate vanities and an oversized glass enclosed shower. Three generously sized bedrooms, dual entry bath, en-suite bath, laundry room, and an overlook of the foyer conclude the upper level sleeping quarters. The lower level provides the perfect recreation room, wet bar with a Sub Zero refrigerator, game room, powder room, and a home theater for movie night. Host the best barbecues from the comfort of the inviting Trex deck, overlooking a play area, secure storage, and a picturesque preservation view. Updates 2011-2019: finished lower level and rear deck. 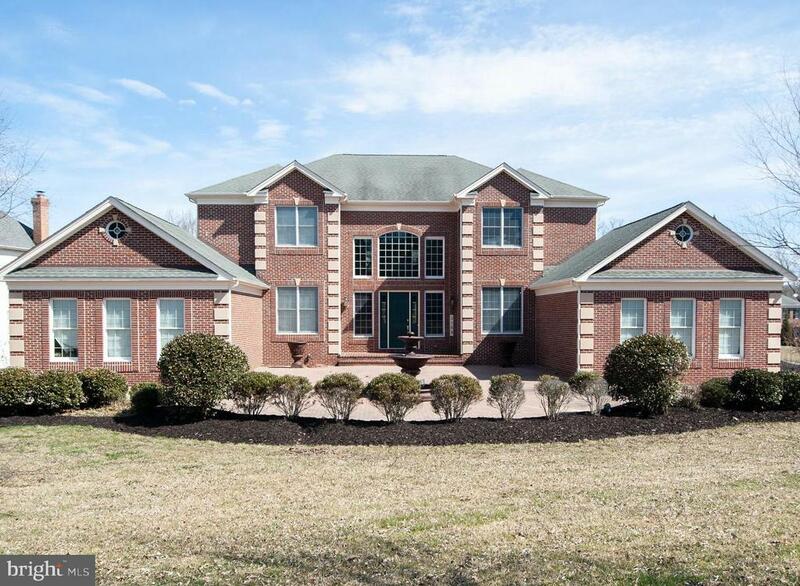 This extraordinary property aims to please and is truly the embodiment of Maryland~s good life!" "Big price reduction for quick sale. Stunning colonial on almost 1 acre lot in Wellington West! Gleaming hardwood floors, dual stair cases. Spacious kitchen with 42 cabinetry, granite counter tops, over-sized island. Upstairs luxurious master suit with sitting room & fireplace, spacious master bath with dual vanities, soaking tub, walk-in closet. Finished basement with huge recreation room, exercise room, huge storage room, walkout stairs. 2-zone A/C. Large wrap-around deck off kitchen breakfast room. 3-car garage. A must see!" "Unique interactive 3D walk through check out the virtual tour! Don't know where Woodbine is? 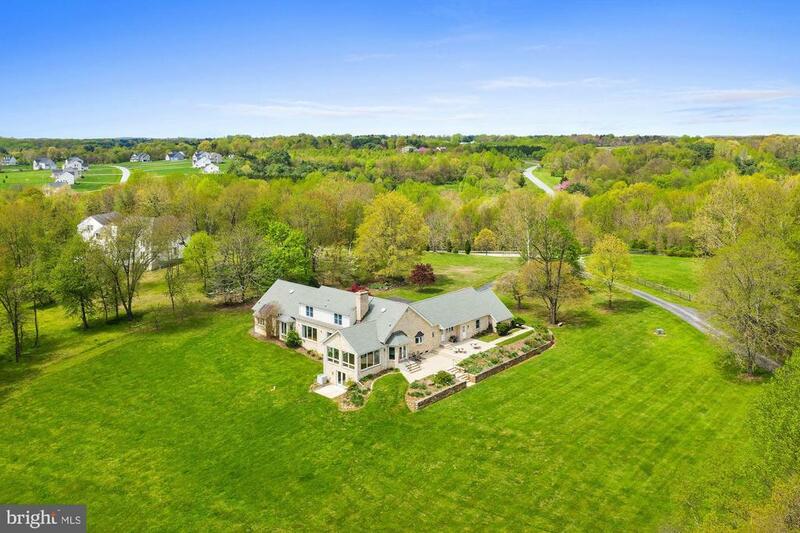 Only 5 minutes drive from 70, just west of Ellicott City, & 25 minutes to Ft Meade, this GORGEOUS remodeled colonial is more than meets the eye sitting on 1.8 lovely acres. Circular drive, 4 car garage, community pond, relaxing stone patios front and back, Covered front wrap-around porch w separate entry to office, formal LR and DR, gourmet kit w maple cabinets, granite counter tops, and SS appliances including double wall oven and gas 5 burner cook top and breakfast bar. Family room with gas fireplace, butlers pantry leading to study with Rumsford brick woodburning fireplace. In-law suite with large bedroom, wood stove, updated full bath and entrance to lower level great room. 2 stair cases to upper level. Master suite with cathedral ceilings, balcony, 2 walk-in closets and a super updated bath with separate shower and tub. Much Much More."